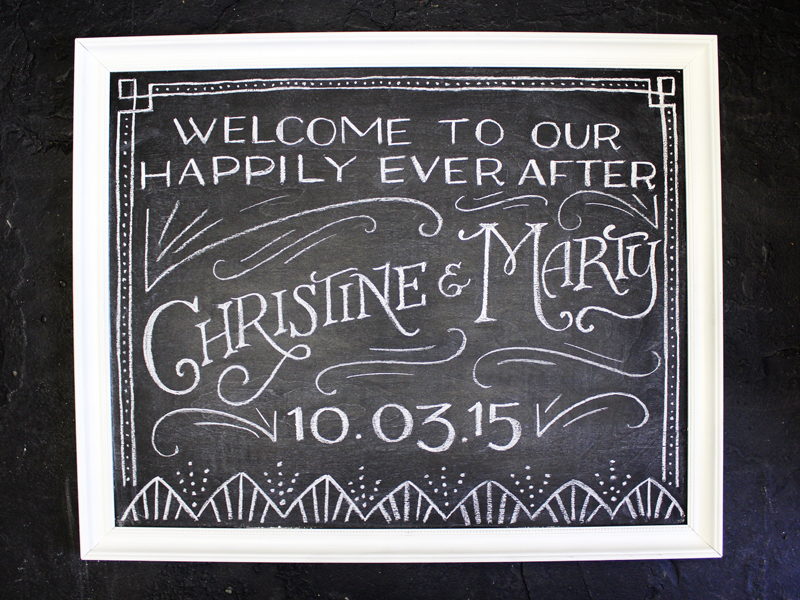 Custom chalkboards for a wedding with a Great Gatsby theme. 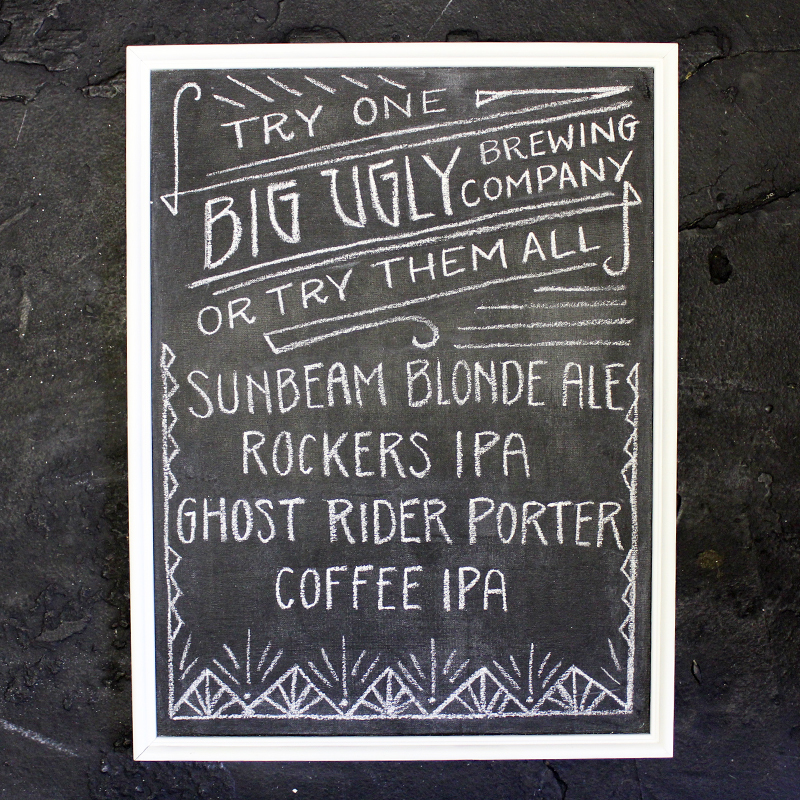 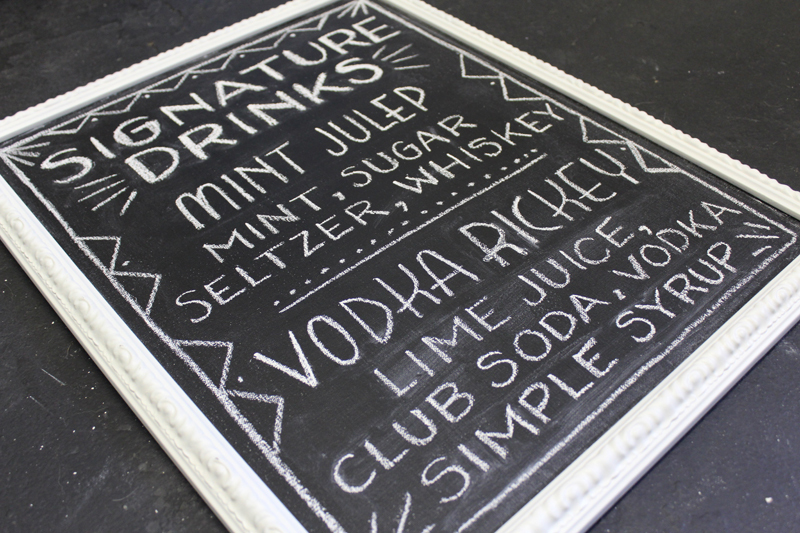 Had a lot of fun doing the art deco details on these chalkboards. 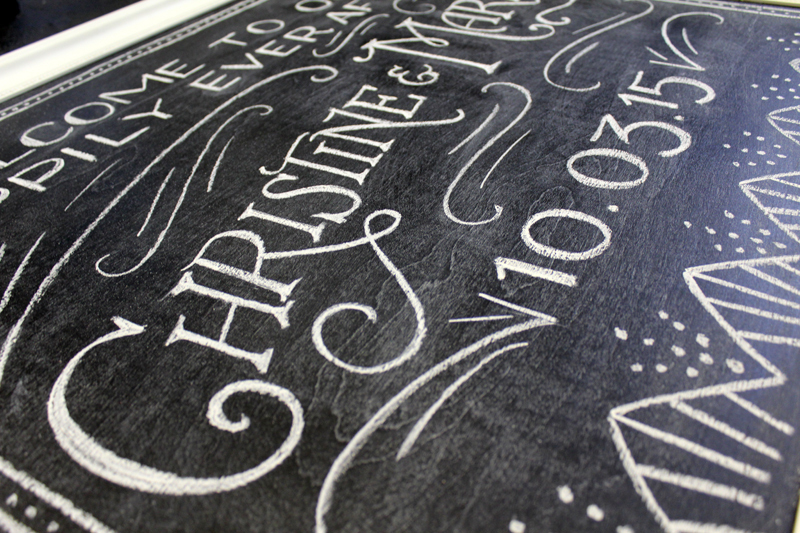 One chalkboard to annoucement the bride and groom. 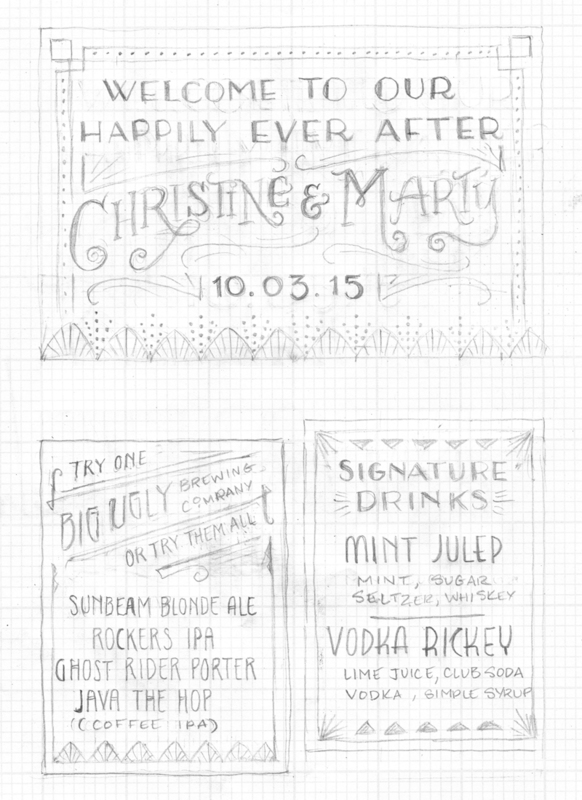 Two others to list beer and signature drink options.